Having a wedding or party and want a special, personalized giveaway for your guests? Hand-made jam jars from A&M Country Jam and Honey are the perfect gift for wedding favors, baby showers, bridal showers, graduations, and any event that you just want to make a little bit special. We make our jams in small batches, by hand, just like grandma used to do. Every jar is hand-crafted too. We take the time to do it right. We have lots of options to choose from and really take pride in getting everything just the way you want for your event. Locally-Sourced, 100% Natural Honey Favors!! 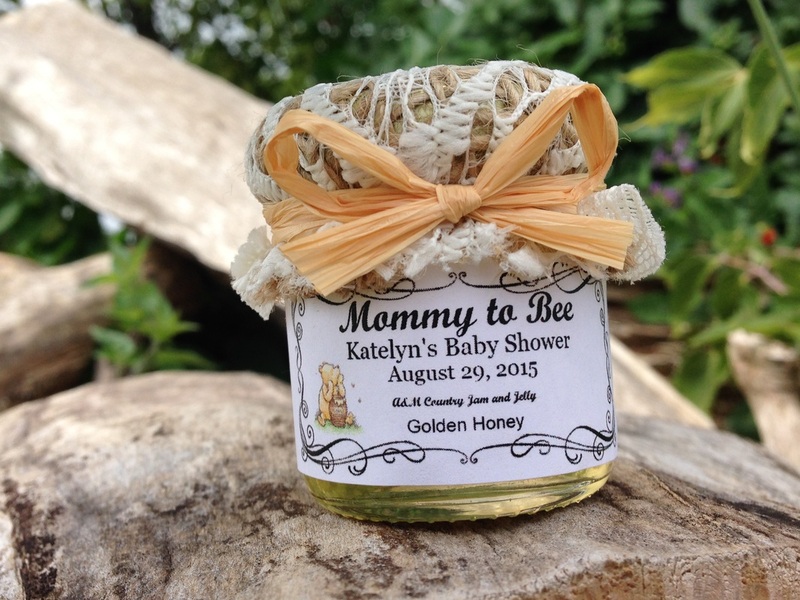 Available as Raw Golden Honey or infused with Lavender, Cocoa, Cinnamon, Mint or Pumpkin Spice! !